When you study place names, and look for their origins, a truism becomes obvious that may not have occurred to you before. When a new people come to a place and begin to name the landmarks around them, they begin with the most important land features—usually bodies of water and the places around them. Which lake? Lac Supérieur (the upper lake). Where on the lake? At Fond du Lac (the bottom or foot of the lake). Later, as more people arrive, other features are named, and become more specific, and are generally either descriptive—such as Grassy Point—or in recognition of the individuals who first settled on that bit of shore, like Rice’s Point, named for Orrin Rice. In Duluth, the bigger creeks are named for the pioneers who settled next to them after Minnesota first opened to homesteading in 1854. These names were not to honor anyone, but simply a factor of practicality: Which creek? The creek where F. A. Buckingham has his cabin, or where Charles Chester set up his homestead, or where the Tischer family established a farm and boat landing. Swiss immigrants Urs and Elizabeth Tischer and their four daughters traveled to Beaver Bay from Ohio in 1856, along with a boatload of German and German-speaking Swiss settlers. The group’s aim was to log and then farm the wilderness, a dubious undertaking that was made further difficult by the Panic of 1857 and diseases like scarlet fever, diphtheria, and even scurvy. While many of these immigrants soon abandoned their dreams for easier landscapes, the Tischer farm became an example that booster Thomas Clark extolled for its success, boasting 40 bushels an acre of winter wheat and 60 bushels an acre of winter barley in 1860. Two years later, however, the growing Tischer family (Urs and Elizabeth added four sons to their brood after arriving in Minnesota) moved to the town of Duluth, establishing a farm and logging operation on a creek that would soon bear their name. At the time, the Tischers were one of only four non-Native families in Duluth to settle away from Minnesota Point. The Tischers owned or used a great deal of the land from the mouth of the creek up the hill along the waterway through most of what is now Congdon Park. In fact, most of the Tischer’s property was later purchased by Chester Congdon and today makes up much of the Glensheen estate and the park. The narrow driveway running on the west side of Tischer Creek from Superior Street to St. Marie Street (which remains heavily damaged from the 2012 flood) was originally Tischer’s logging road, which connected to the Vermilion Trail and his logging operations in the Tischer Creek watershed. The road became a bridle path that connected Glensheen to Congdon Park. At the waterfront, Tischer’s landing was considered one of the best on the lake. There Tischer and his sons would roll logs into the water to join the gigantic floating rafts of timber headed to the sawmills, once a common sight in Duluth. In what became a family tradition, Urs Tischer participated in local politics, becoming a supervisor on Duluth’s town board while also building roads, including cutting the right-of-way for a portion of what eventually became Superior Street in Lakeside. He died of an unknown illness in 1883, at the age of 60. Tischer’s three surviving sons—one had died at age 5—followed Urs’ lead and at various times worked as saloon-keepers, loggers, teamsters, farmers, and contractors. They also found employment in county and city government. Urs’ second son, George Tischer, was the first of that generation to become prominent in local politics, serving as a Duluth alderman and St. Louis County commissioner. He was also known as a hunter and fisherman. In 1897, the Duluth News Tribune reported that he and three pals caught 490 trout on the Knife River in August. According to legend, he was the proud owner of a mounted pair of bucks he’d found (and finished off) whose antlers had become permanently entwined. In 1903, then alderman Tischer avoided scandal after he was accused of soliciting bribes by a fly-by-night employment agent named Thomas G. White, who apparently had a habit of sending groups of men into the north woods for jobs that didn’t actually exist. This charge was quickly dropped and White was arrested for his shenanigans. In 1909, on the way home from dropping off his buddies after a fishing trip at Cloquet, George’s borrowed horse-drawn rig was struck by the Woodland streetcar in front of Fitger’s Brewery, killing one of the horses and throwing Tischer from his seat. He suffered a serious head injury and never regained consciousness, dying soon thereafter. He was 48 years old. 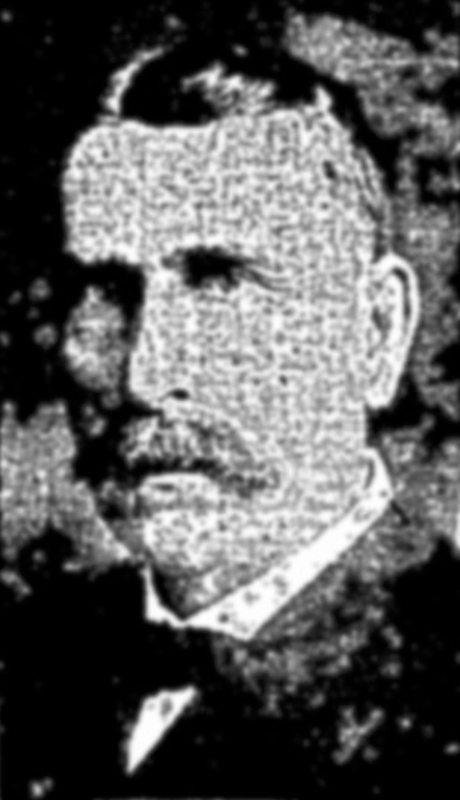 At the time of his death, George Tischer was halfway through his first term as county commissioner. His older brother John, who was then chairman of the town board of Lakewood, was elected to serve out the remainder of that term. John had been a saloon-keeper, a road builder, a farmer, and logger. Back in 1883, when federal investigators were attempting to put the lid on rampant pre-emption fraud out in the wild Northwest, John was one of the many local men arrested—though never convicted—of the crime. John continued to serve as a county commissioner until 1914, when he dropped dead of a heart attack at the age of 56. At least three other Tischer men subsequently worked in local government. Urs’ youngest son, Fred, primarily an electrical contractor, unsuccessfully ran for elected office and worked for many years in the offices of the city building inspector and city engineer. George’s son Herbert spent 42 years in various positions in the city engineering department and ended up as manager of the city water, gas and sewage department. John’s son William Harlow Tischer worked as a county surveyor and county commissioner. He also once presented a plan for the removal of the Point of Rocks to use the materials to create a municipal dock. Tischer Creek—which winds its way from Hartley’s pond, through Hunters Park and past Glen Avon Presbyterian Church, down through Congdon Park and the pretty landscaping of Glensheen—served as a focal point of concern for generations of East Enders. There were debates over housing developments, water use, pipes, bridges and even its name over the years. By the 1980s, at least one local citizen became concerned that the creek’s correct name might be lost after a sign was erected on Superior Street calling it “Congdon Creek.” This mistake was eventually rectified, and today, across from Congdon Elementary School, the large sign at the entrance to the park clearly designates it as Congdon Park on Tischer Creek.